New Designer Pillows at McGee & Co.! Our newest collection of designer pillows is here! This collection is full of beautiful textures, natural colors, and each pattern is high-quality and made to last. This collection is full of patterns that are easy-going and versatile with almost style, while still feeling curated and thoughtful. We love to bring a global aesthetic to our homes and the Thomas pillow is full of rich texture and dimension that's hard to find. It seems to contrast whether it's styled against other pillows or thrown on any sofa. The worldly take on geometrics it has is unique and modern, so it's an exciting addition wherever it lays. The Pip is the easiest way to add dimension to your spaces as its pattern is layered with varying marks of white and blue. Each pillow brings an eclectic feel without overpowering other patterns in your spaces. The Ferdinand has a classic stripe you'll restyle again and again, while deeper pillows like the Matilda and Lyra will contrast beautifully against lighter fabrics or look beautifully displayed alone. 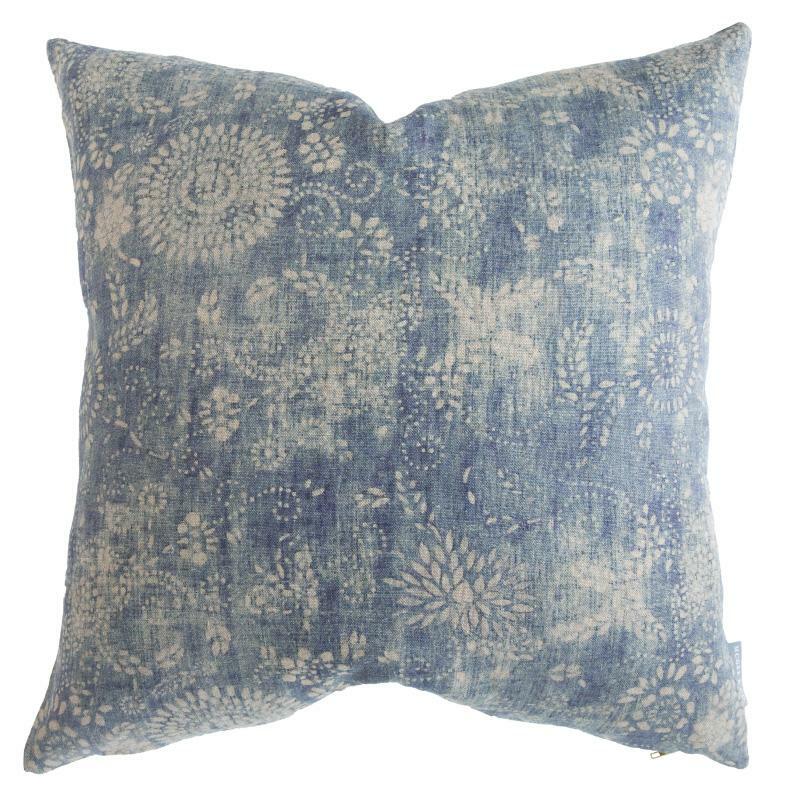 The organic pattern in the Molly pillow is fresh and lovely, as it was hand-block printed by skilled artisans in India. Muted tones make it a floral that is more soft and neutral than most. The tribal motif in the Jem pillow is subtle and delicate, so it will enhance an array of patterns while remaining interesting when styled by itself. 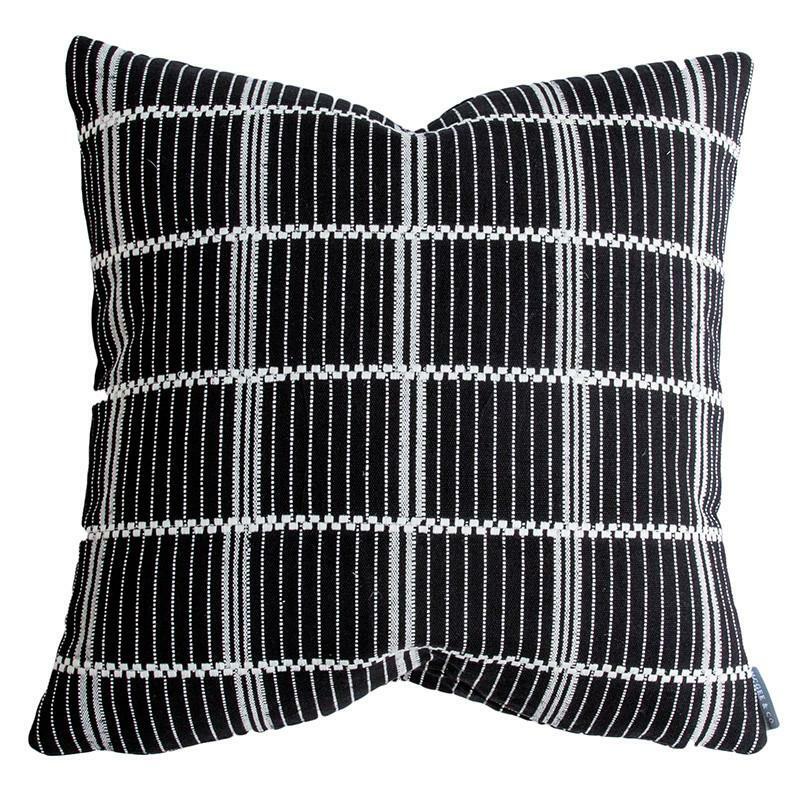 The Watson pillow takes a fresh approach to classic plaid with its unexpected spacing and varying stripe sizes. We love it so much it's available in taupe and navy! It pairs perfectly with the subtle pattern in the Alice Pillow, which was inspired by Burmese textiles. We love how these large scale patterns bring a modern feel to the space while remaining timeless and classic.